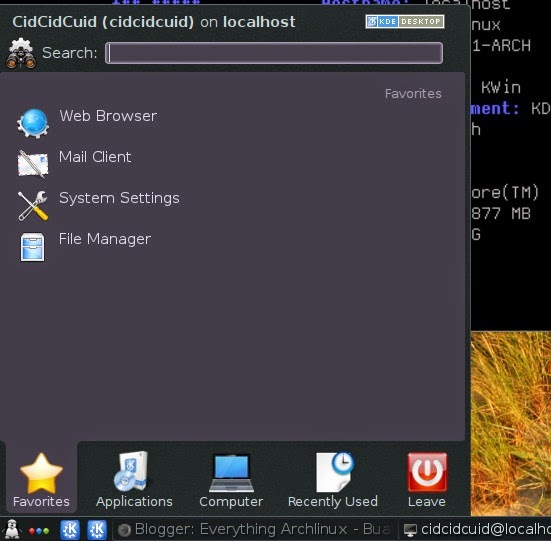 If you bored with default KDE start menu. 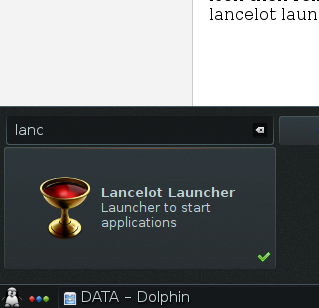 You can change it with lancelot start menu. 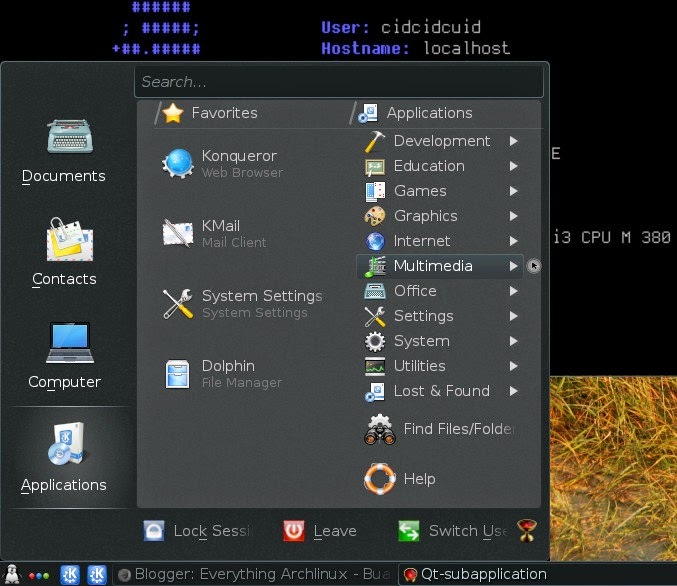 It installed by default if you install KDE full install on archlinux. 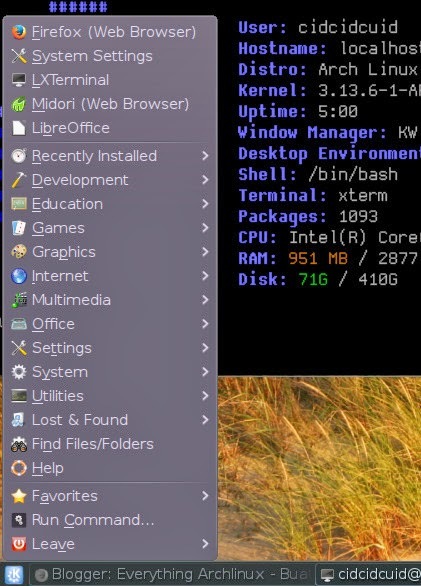 If it's not installed you can install these packages. Ok that's it, here's the lancelot menu. 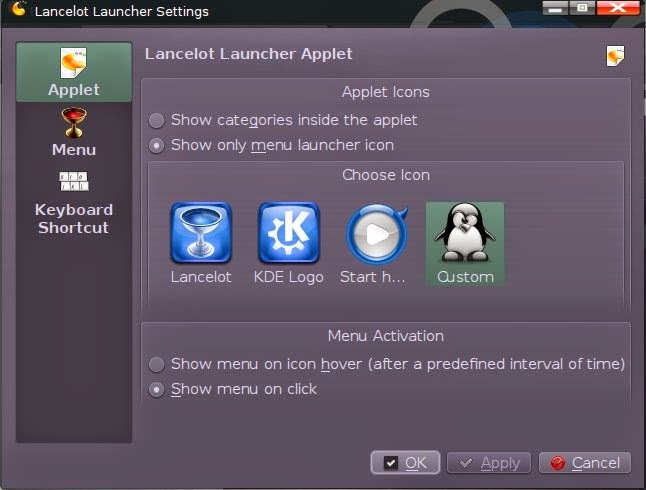 Lancelot themes follow kde desktop themes, so if you want to change lancelot looks/appearance just change the kde desktop themes.